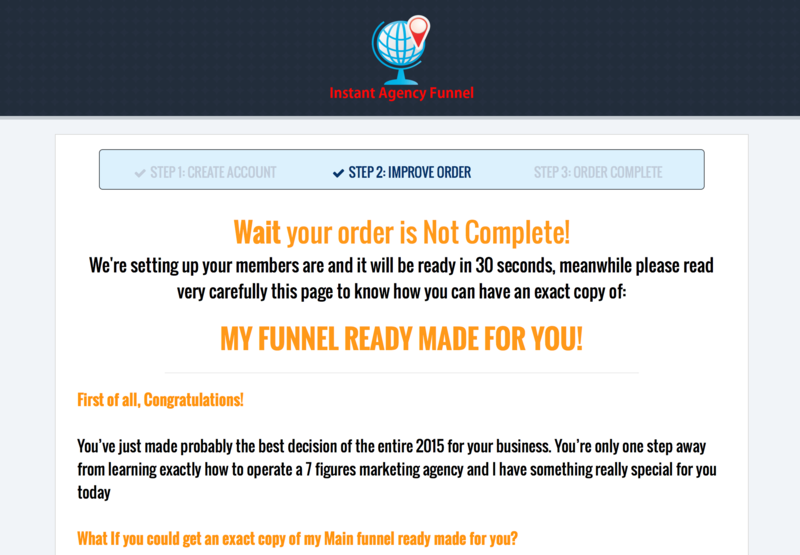 In the world of internet marketing, “funnels” are used everywhere. Whether it’s a sales funnel, an opt-in funnel or anything in between, funnels are fantastic and can do everything from getting new leads into your business to selling thousand dollar products and services. What funnel you use is completely dependant on the goal you’re trying to achieve. My aim in this post is to explain what a funnel is and why you should be using them everytime you sell anything! I’m also gonna share with you the exact funnel I use inside LaVie and how it gets me 10X the profit from every customer that buys from me. It can be up and running with 4 simple steps and will work in any niche online! – Goal #1 is an opt-in funnel. This gets new prospects and leads into your business. – Goal #2 is (any type of) sales funnel. This converts the leads you have into buyers. – Goal #3 is more advanced and can range from launch funnels to high ticket coaching funnels. [LM] | Lead Magnet - An irresistible ethical bribe that gives value to a prospect in exchange for their contact information. A lead magnet's aim is to open up a pain within a sub-niche and begin solving it. 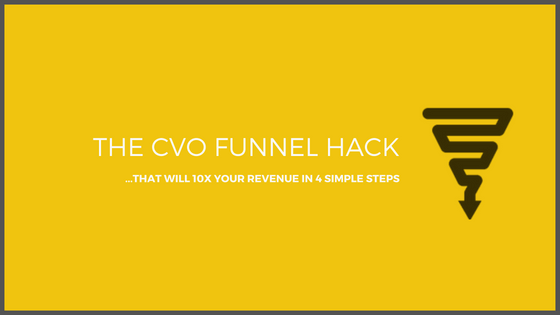 In doing so you will capture your audience's interest and in turn their email address which will start them down your CVO funnel and allow you to market to them in the future. [TW] | Tripwire - An offer designed specifically to convert a lead into a buyer. This is your first transaction but is NOT aimed at making you a profit. The money generated from this step helps create higher profit margins later on (in the funnel) and cuts the costs of acquiring new leads. [CO] | Core Offer - Your Core Offer is the major product or service in this funnel! The "thing" that solves the pain or problem this funnel was originally created to solve. If purchased this stage turns your buyers into repeat customers creating loyal subscribers for both you and your brand. [PM] | Profit Maximiser - The profit maximiser is the final stage of the strategy and is here to maximise the average transaction value of every customer that buys from you. Often this stage is used to turn repeat customers into (high ticket) clients but also works great with subscription offers and higher priced software. This stage is also used to retain your customers to your brand so you can market other products to them later on. Each step in this funnel has a purpose, and just like the bricks of a house are as important as each other. All 4 steps are designed to flow seamlessly in to one another and will encourage the transition from one step to the next. This is best done by creating multiple lists within your autoresponder (one for each step) and linking them together with an automated email sequence. A lead magnet is found on an opt-in (or squeeze) page and offers an ethical bribe for a prospects email address. As you can see in the example above this opt-in is targeted to the health and fitness niche and has a free “Top 12 Healthy Tools Checklist” as the incentive for giving away your email address. A lead magnet should draw a prospect in, open up a pain within that sub-niche and begin solving it. In the example above the "pain" is staying healthy. The solution is these 12 tools. The tools will not make the prospect healthy directly but instead will make their goal to becoming healthy a bit easier. Once the lead has opted-in they should be sent to a thank you (or download) page where they can collect their lead magnet. I recommend doing this instead of direct linking them to the next offer. After extensive testing I've found doing that has a much lower conversion rate and kills the relationship between you and your new leads. Instead send them to a thank you page and allow them to consume the information in their own time. Have links to your TW from within your LM and thank you page - as well as in your email follow up series. This way you build a relationship with your leads (in the value series) and still sell to them without being pushy. A Tripwire is a low priced offer aimed at changing the relationship between you and your subscribers from lead to buyer. 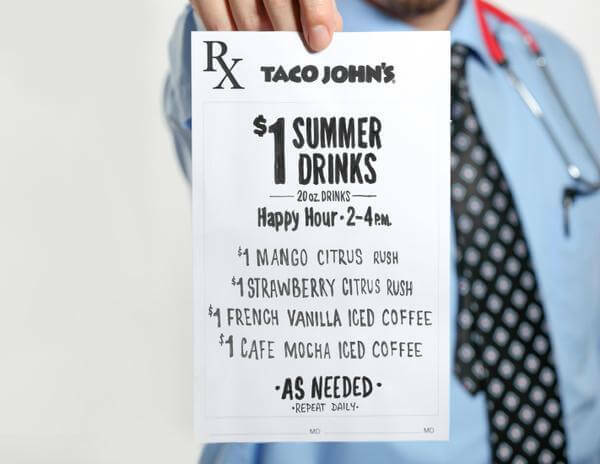 As you can see in the example above this tripwire is targeted to the fast food niche and is offering $1 drinks as the incentive for you to come in and dine at Taco John's. This tripwire is brilliant because it's straight to the point and genuinely an irresistible offer. This offer will not make Taco John's rich, BUT it will make you come back for more... And maybe next time you'll come with a few friends and get some food. Multiply this by hundreds if not thousands and you can see why a tripwire is so powerful. The first sale is always the hardest. After this barrier has been broken then it's 100x easier to turn that buyer into a repeat customer (with step 3) then it would be without it. Finally when looking for a tripwire try and make it seem like the follow on step from your lead magnet. That "pain" you opened up in step 1 should be solved that little bit further with the purchase of your tripwire. Once the lead has purchased and become a buyer they should be sent to a thank you (or download) page where they can collect their tripwire. I recommend doing this instead of direct linking them to the core offer as you will need a lot more value (and selling incentives) to convert them from a buyer to a repeat customer (step 3). Have links to your CO from within your TW and thank you page - as well as in your email follow up series. This way you continue building a relationship with your buyers (in the value series) building greater rapport and trust with you and your brand. The core offer is your major flagship product or service. It can define you and your brand, and should require more time, research and investment to create compared with the previous two steps. As you can see in the example above this core offer is a great example of just that. 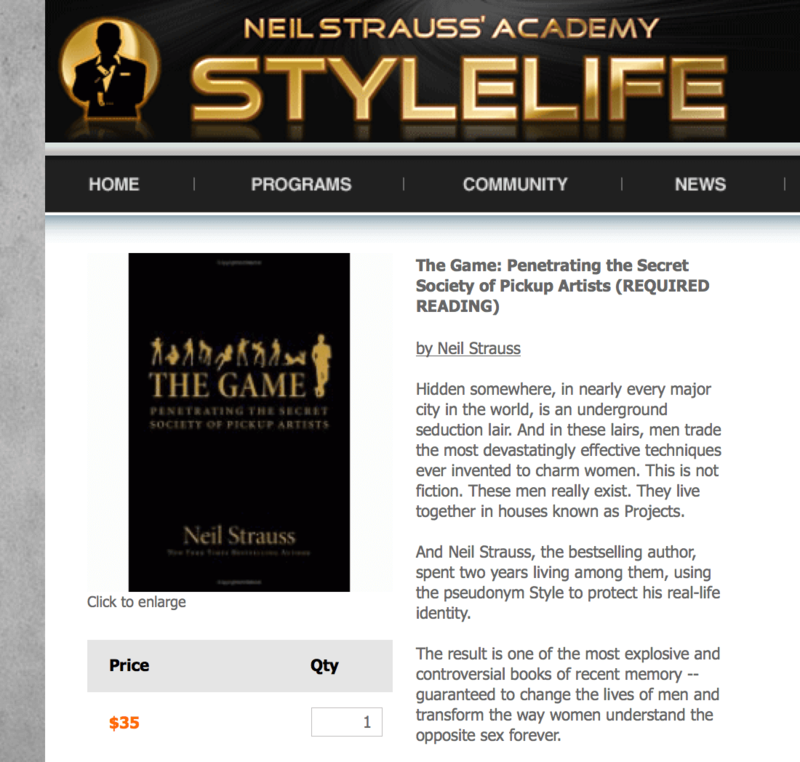 This one book revolutionised the dating market upon its release, so much in fact it sparked a new era for male dating with the rise of the PUA. Today the marketing used behind the PUA community has built one of the most emotive, effective and lucrative markets to enter as a internet entrepreneur. Your core offer should solve the pain or problem you originally created the funnel to solve. The profit maximiser is there to increase your customer transaction value. At this point every customer has bought from you twice (your TW and CO) so you should be in profit (taking all costs in to account). This stage therefore is how to get a 10x return from every customer as its pure focus is to increase your profit margins. As you can see in the example above this profit maximiser is targeted to the IM and MMO niche. 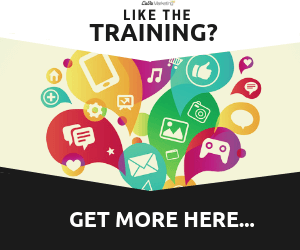 IAF have just sold a product teaching their customers how to build an “Agency Funnel” and now their profit maximiser is a ready made “done for you” funnel. What this does is give the customer an option to make their investment, easier, faster and worry free as they go on to guarantee that 9/10 clients saw an 800% sales increase using this up sell. A profit maximiser is best used in two ways. To increase your profit margins (per customer) and to retain that repeat customer in to your brand. Once the customer has opted-in they should be sent to a thank you (or download) page where they can collect their lead magnet. I recommend doing this instead of direct linking them to the next offer. After extensive testing I've found doing that has a much lower conversion rate and kills the relationship between you and your new leads. Instead send them to a thank you page and allow them to consume the information in their own time. Have links to your TW from within your LM and thank you page - as well as in your email follow up series. This way you build a relationship with your leads (in the value series) and still sell to them without being pushy. Your profit Maximiser can be anything DIRECTLY relational to your core offer. The price of this step can rise or fall considerably depending on what you decide to sell, but don’t focus on that too much. So, what could you sell for your profit maximiser? This is an example of a profit maximiser in the Internet Marketing space. This is know as a direct up-sell because it is directly related to the previous product and is one of the most effective forms of up-selling. These are the extra little services like protection plans, tech-support subscriptions, or product training - that give your customer extra piece of mind. This is when two or more products that complement each other are bundled and sold together. This can usually be found on the product or checkout page. Firstly, I encourage you to spend your first day collecting your ideas for each step and coming up with a "Mini- Funnel". Within 24 hours, you should have had more than enough time to create a concept in which a funnel flows effortlesly from one step (product or service) in to another, with incrimental prices and more and more value as the customers progresses through the funnel. Once you have your idea, TAKE ACTION! Get to work! The first few steps are the easiest and most creative so it will help to ease you in. Once you have the LM and TW stages complete you can start running traffic to your squeeze page and making some money. Then, invest that money in to producing a high quality product or service for your "core offer" and sell it to your buyers list (that you will now have as a result of your "Tripwire" stage). Rinse and repeat and do the same with your "Profit Maximser". And just like that - You have created a business asset that you can constantly tweak and improve so it makes you an even higher return on investment. Whats more you can also automate the entire process with email marketing so all you have to do is focus on traffic - and let the funnel do it's job! How do I know that for ABSOLUTE certainty? Because a year and a half ago (from writing this blog post), I was broke, unemployed and hopeless... Yet thanks to this one funnel, I was able to generate almost $10,000 in 4 days, start my own online company and help hundreds of people just like myself to make a change in their lives and their finances. … You can access my "#4 day Funnel Factory" method completely FREE, by clicking here. This contains 4 Lessons, each of which is designed to (yep… you guessed it) show you EXACTLY how to build your own "Mini Funnel" step by step, from start to finish in incredible detail! This course is ABSOLUTELY FREE and, if you’ve read this far, I know you will be absolutely stunned by the value you will receive from these lessons. I simply want to tell you that I am just beginner to blogging and site-building and definitely savored your blog. Very likely I’m planning to bookmark your blog . You actually have perfect articles and reviews. Many thanks for sharing your web site.